Make uncountable new memories and experiences that you will cherish for the rest of your life - become a volunteer and uplift other people’s lives as well as your own. Are you willing to support our project in South Africa? Then this is the place to find all information needed. For further questions please feel free to contact us via mail. Apply for our volunteer programm now! We are looking for people aged between 18 – 30 who are motivated to change the world for the better. You will experience that even small changes will contribute to the big picture and change people’s lives in South Africa as well as your personal view of the world. WHAT ARE YOUR VOLUNTEER TASKS? Our volunteers mainly support and lead the sports programms. They prepare and provide training sessions on their own, organise and accompany tournaments. 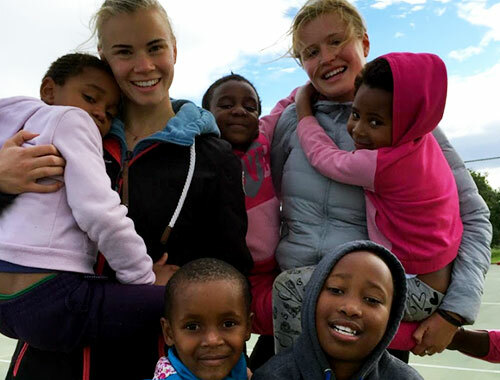 The Alster Grootbos Hockey Project is focussing on hockey as our main sport. Training takes place 4 days per week in Gansbaai, Stanford and Hermanus. However, volunteers can also apply to support soccer, athletics, tennis and netball training. Additionally we cooperate with the schools and provide sport acitivities for the school kids. Volunteers are also developing and strenghthening the cooperation with the schools. Additionally to our sports programmes the project aims to improve the childrens’ education. Therefore, we offer and support several additional and educational programmes such as HIV/Aids awareness programs or environmental lessons and social activities, for example the „beach clean up“. Volunteers support and join these programs. The standard of living as well as the working methods in South Africa are completely different to western countries. You have to organise yourself autonomously and think and work independently. Coaches meetings are held once a week to discuss logistics, planning and training schedules. Assistance is at hand 24/7 in person or through WhatsApp. A minimum stay of three to six months is optimal to build a relationship of trust and support with the children and provide continuity. The Grootbos Foundation picks you up from the airport in Cape Town. You are staying in our volunteer house, sharing a room and bathroom with several other volunteers. Additionally we provide a car for transportation.To cover these services, the foundation will charge you with an amount of approximately € 300 per month. You are motivated to join the project and you match the description of potential volunteers? Then feel free to contact us! Read the information on this website carefully to familiarise yourself with all the facts. Your application will be reviewed and if successful you will receive a acceptance e-mail. Plan and coordinate your stay with us. 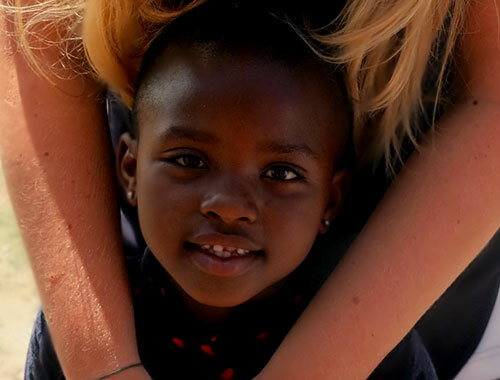 Only book your flight when your flight details are confirmed by the Grootbos Foundation in South Africa to make sure there is space in the volunteer house. Book your trip, apply for your visa if you plan to stay more then 90 days, check your vaccinations (you should have all standard vaccination, no specific vaccinations needed). Fly to South Africa where you will be picked up at the airport by the Grootbos Foundation. Enjoy your time and keep us up-to-date by reporting your experiences on Facebook. To be activated as page administrator, please contact your contact person from the German Alster Grootbos Hockey Project team. Please write a monthly report to keep us informed what is going on.